Delta To Celebrate Flight Attendant’s 60 Years Of Service With Cake & Appetizers…don’t they deserve more? 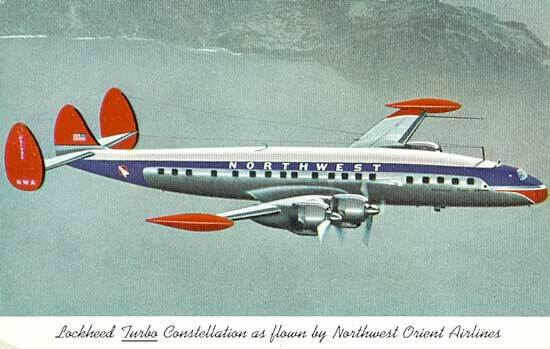 On October 1st 1951 Bob Reardon began his career as a flight attendant with Northwest Orient. 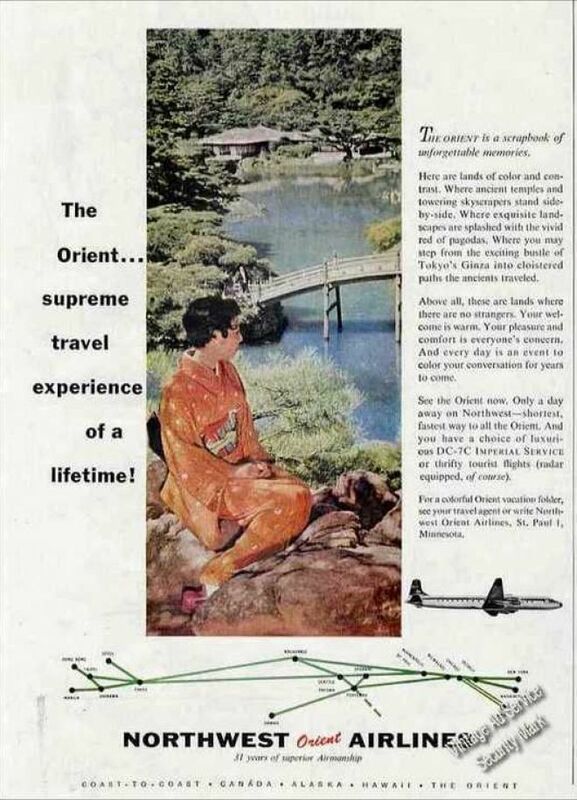 The dominant aircraft in Northwest Orient’s fleet when Bob Reardon started to fly were the Douglas DC-3, DC-6 and Boeing Stratocruiser, the Lockheed Constellation wasn’t even flying yet. When Mr. Reardon began to fly male flight attendants were rare, however Northwest Orient began hiring men to serve as flight attendants when the airline began serving liquor in flight, something most airlines did not do at the time, the logic was that male flight attendants could better handle intoxicated passengers. Now as Mr. Reardon approached his 60th anniversary as a flight attendant, having remained with through the transitioning to the jet age, multiple mergers, Northwest Orient becoming Northwest Airlines, labour strikes, bankruptcy and now the airline being renamed Delta Air Lines following the latest merger, at the age of 87, Delta plans to celebrate Mr. Reardon’s loyalty with cake and Hors d’oeuvres. Delta Air Lines publicly prides itself on employee loyalty, and in known its employees having pitched in to purchase a Boeing 767-232 for the airline, dubbed the Spirit of Delta for the airline as a sign of their loyalty … now as the company’s most senior and loyal employee reaches an unprecedented milestone the company is turning a blind eye. Some people at Delta point to the fact that Mr. Reardon comes from Northwest Airlines, not Delta Air Lines, as a reason for the company seemingly ignoring this event in the company’s history. Given that Delta Air Lines and Northwest Airlines merged as two equal airlines into one airline this should not be a factor. Others at the airline have pointed out that Mr. Reardon is a staunch union supporter, where as Delta was not a union airline, however Mr. Reardon’s stance on unions should have no bearing on recognizing his loyalty. Regardless of all other factors Delta Air Lines needs to take a moment to assess if they truly recognize employee loyalty or if they merely like to say they believe in employee loyalty. I’m not saying name a plane after Mr. Reardon … although that would likely be appropriate given that the airline currently operates 696 mainline aircraft, 15 of which are what Mr. Reardon most frequently flies on … but the airline should certainly celebrate Mr. Reardon in a manner more befitting than simply Cake & Hors d’oeuvres. Happy Flying … and hopefully Delta will recognizing someone who has been flying 60 years! What would be appropriate in your mind Steven? Personally, a little ceremony sounds nice and classy. Given that the airlines have named planes, training facilities, lounges, etc for people with far less historical significance … I think they can do more than cake and a handshake. As a long time red-tail with 40 years of service myself, I applaud you, Bob. Chances are you served me and my family on any number of occasions and we were most appreciative of the always great attention that was the hallmark of Northwest cabin service. Sure miss the good old days. Again, super career and a well deserved retirement. I have been a passenger on a number of flights with Bob, he exclusively works up front and has his own style – he is very hard on the rest of the crew especially younger members. He is also very negative toward the airline and very vocal about it. 87 years old and a flight attendant – yes, he is a cranky old man and it shows. I am guessing he has ruffled to many feathers and people want to see him retire. I’m with colpuck. You’re chastising Delta for not doing right by Mr. Reardon. OK. What’s ‘right’? Please reread the comments section here, the question has been answered. Out of curiosity, what is your role at Delta Air Lines? I am a HUGE airline “hobby-ist,” working with three airlines, finishing 28 years Oct. 1- and I came to Delta from Western, 1987 merger. I really enjoy your view of Bob- but for whatever reason, I feel the need to always give the “other side of the coin.” I have not met Bob…I have met MANY of his colleagues and my new NW brethren, especially when laying over in NRT. He is quite famous, but not always for the right reasons..he has been known to call his female colleagues the “C-word,” and was removed from the Purser program..etc..again, I find it amazing this man is 87 and still flies..and I plaud him..and I definitely do not find my company, Delta, always doing the right thing..but please remember: every story has two sides..and our CEO, Mr. Anderson, as you know, comes to us from NW. I think he is a great CEO, but his time with NW included Bob. If Mr. Anderson felt Bob should have a “richer” bon voyage, then he would arrange it..I TRULY do not believe my management is punishing him for being pro-union..it’s the way all of our “Number Ones” have left, most of them in their late 70s, early 80s. I just wanted to share how I felt with you..and I DO need to read your column more..I am now an actor as well, but I cannot stay away from my airline “stuff..” 🙂 thanks. Mr. Reardon got a 60 year pin with 6 diamonds on it. That is hardly nothing from the airline. The author of this article needs to grow up. I flew with him for the first time on MSP-NRT flight I am still amazed how senior he is and still working on long haul flights at 87. I have had the opportunity to fly with. Mr. Reardon. He was nothing more then the best Purser that I have flown with….he was strict and by the book (which a lot of fa’s could learn from). many customers have requested him on flights and he deserves our utmost respect! I think the blog above about not having a ceremony for Mr. Reardon is a bit catty. He was featured in a publication within Delta, had the Senior VP of Inflight at his celebration and probably was in a Minneapolis paper. What this really points out is the position of Flight Attendant is for safety and the FAA does not ensure the flying public that our Elderly Flight Attendants over age 65 are safe for flying. Many are hard of hearing, can’t see well, use canes and walkers on their layovers, I flew with one recently who had had a stroke and kept repeating questions to a passenger. These are employees who are over 65 who need testing to see if they are competent to pull you out of a burning aircraft. I personally think it is grossly unsafe for the flying public to be in the care of 70 year olds and above for their safety. You wouldn’t want an 87 year old Firefighter assisting you to put out a fire or a police officer in their 70’s chasing someone who just robbed you, would you? Why do we think it is cute when Flight Attendants reach these ages? It is not. It is unsafe. The FAA needs a mandatory physical requirement for the job of Flight Attendant. Anyone wishing to continue flying over 65 years old should be checked by a doctor once a year, twice a year when over 70 and 4 times a year when over 75. I guess what this is really saying is the FAA views the Flight Attendant job as par with Walmart greeters who need no physical capability accept to smile and greet. The FAA along with all major air carriers are paralyzed with fear for lawsuits against Age Discrimination. Why didn’t that bill exclude jobs in which the position is one that is for the safety and well being of the customer that the age be limited?